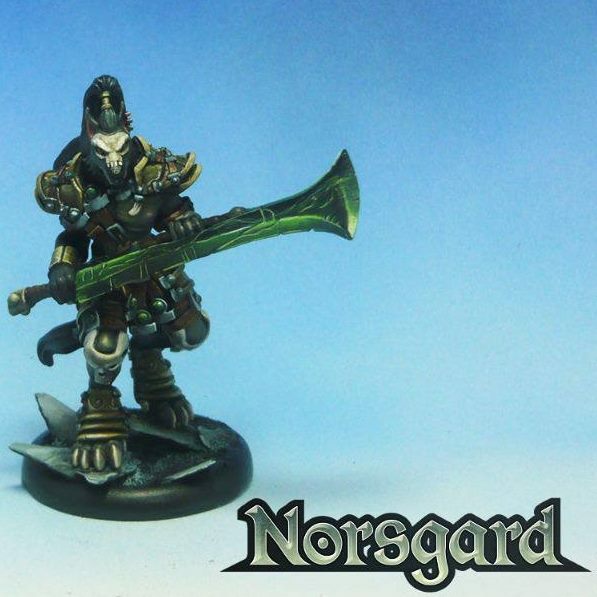 Last year I accidentally stumbled across another interesting looking, fantasy skirmish game called Norsgard. 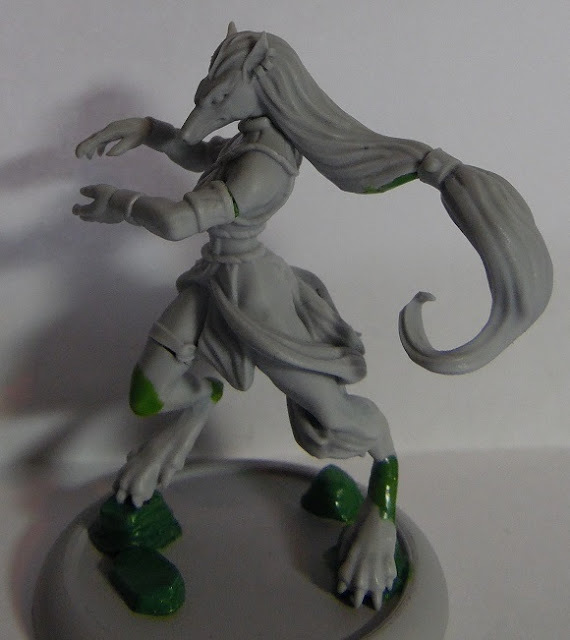 Now I fully realized I was already up to my neck in unfinished projects and models, but something about the line and rules just grabbed me. So after some digging I found an interesting setting, rules that had a lot of potential and yet another game that quite smartly has opted to use reference / profile cards for their models. 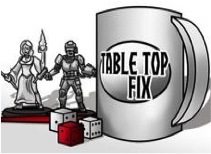 The latter is something we've been seeing more and more of lately, with games like Pulp City, Shadow Sea, DeepWars, Deadzone and Counterblast (print & play cards) using this tool to make games faster, require less searching through rulebooks and simply putting more complex rules and interactions into a game without vastly lengthening its duration, learning curve and off-time. 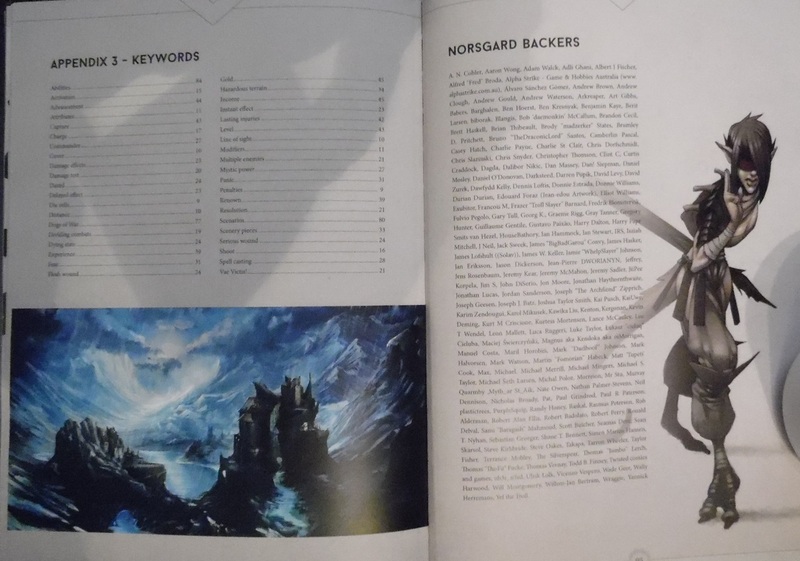 Over the course of its Kickstarter Norsgard pushed three full factions out for production with nearly models for every profile in these warbands. 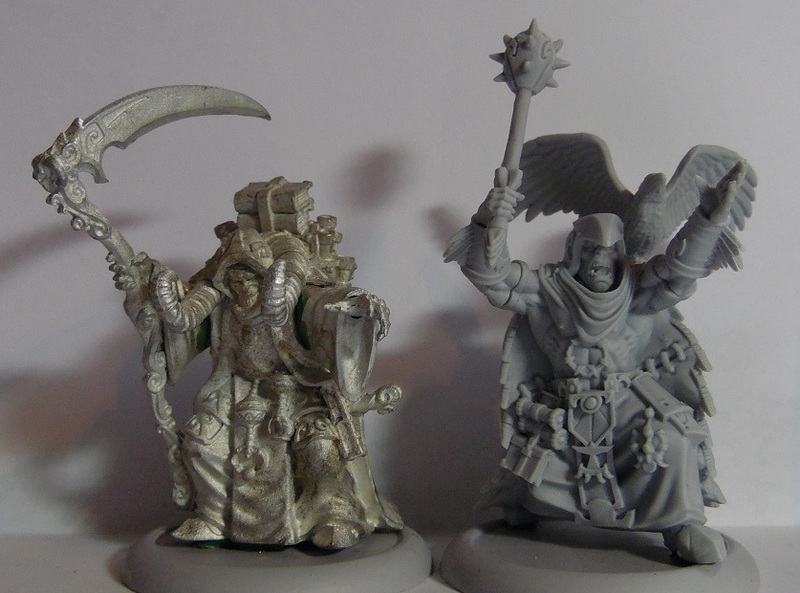 So with me finally done assembling the models and an expansion Kickstarter (check it out HERE) well under way, it is well over due we have a good look at those lovely models! 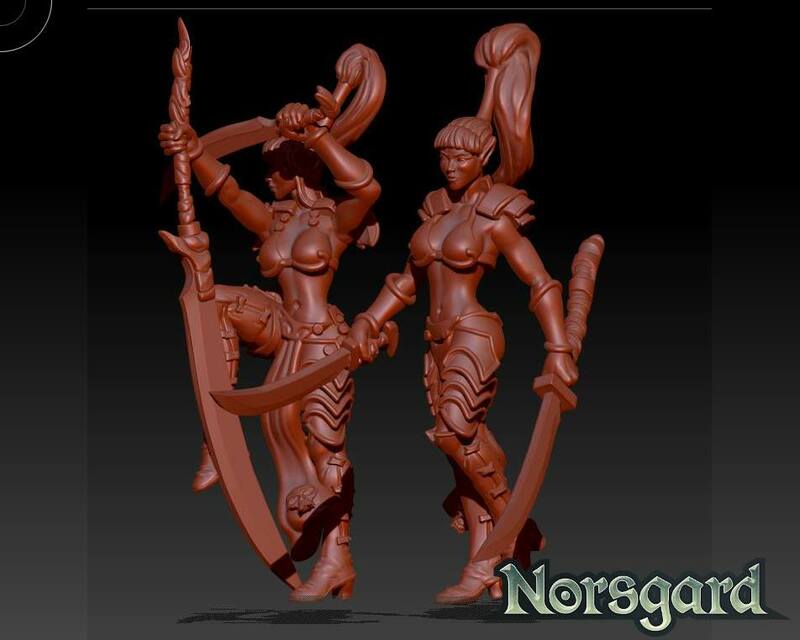 Norsgard is a 32mm-scaled skirmish game where the current factions will have a maximum of 10-14 models on the tabletop. 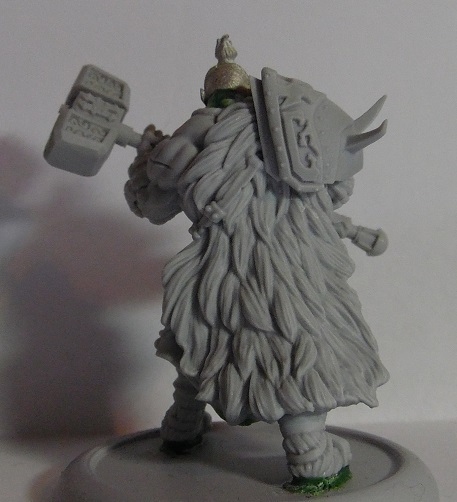 The actual models are quite dynamically posed and offer a wide range of sized models from the short dwarfs, the beefy Orcs all the way up to the huge Wulfkin. 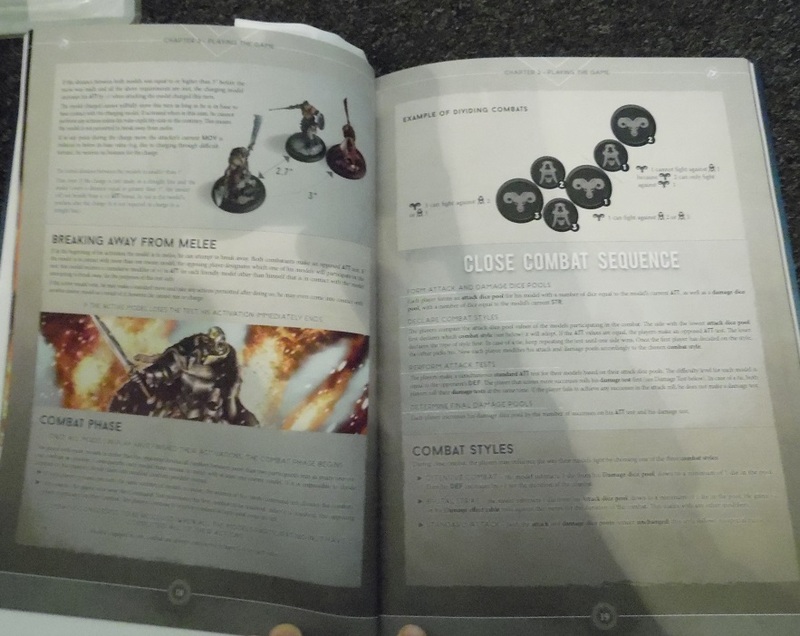 As said you get handy reference cards with all models, which make it a lot faster and simpler to pick up the game while also squeezing some cool mechanics in there like different attach styles and wound effects based on how much damage the model has sustained (hence the differnt damage reference cards). 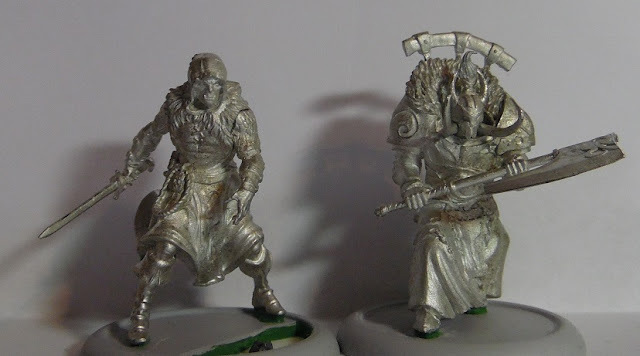 There's even some cool multi-faction mercs in here, which is always a great way to add some narrative and 'cool' models to a game. The Watch consists of Order of the Ram Templars attempting to redeem themselves for a dark, past transgression and their caretakers. I'm generally a fan of Orcs, their more savage side makes them a fantastical race to produce both villains and good guys. In this case the Scarlet Watch are indeed, relatively anyway, good guys holding on to their ancients duties while their numbers slowly, but surely wither as they try to defend their lands from enemies new and ancient alike. 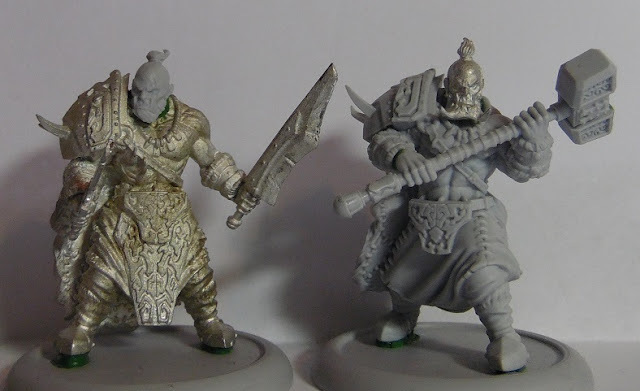 What I really like about the Watch is how 'beefy' the faction is, both when it comes to the models and their tabletop abilities. This warband has the lowest possible total model count of 10 miniatures, but the guys you get on the table have a lot of strength and staying power. 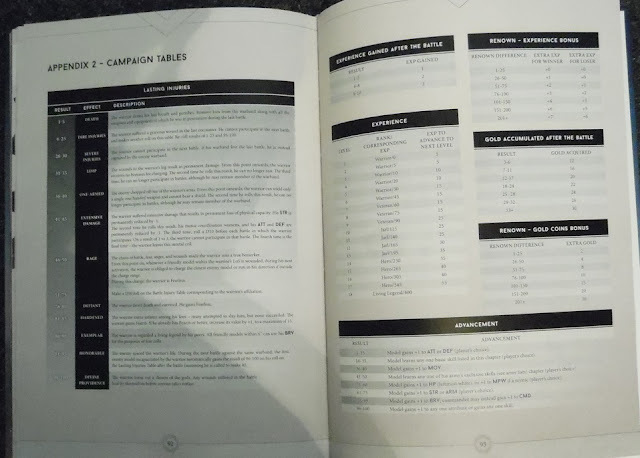 In fact they can even have special trainings for your warband that give overall of model specific bonuses on top of their already very strong stats. 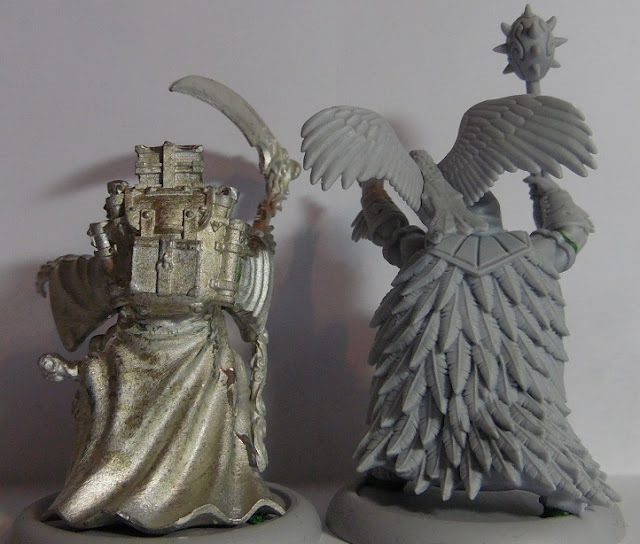 We're talking big, 50mm bases and models of roughly the same height that tower over most other models in the range. They're still not quite a big as the Werewolves though. 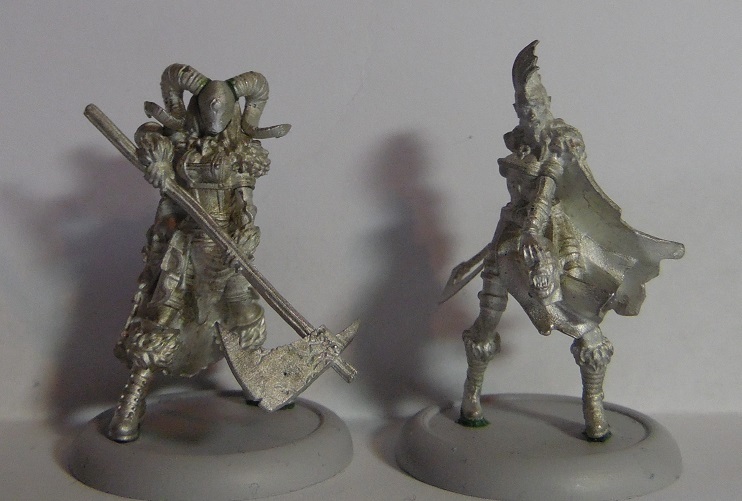 The Dark Guard, the commander options for the faction, and the Ravn Caller are definitely my favorite models of the faction. 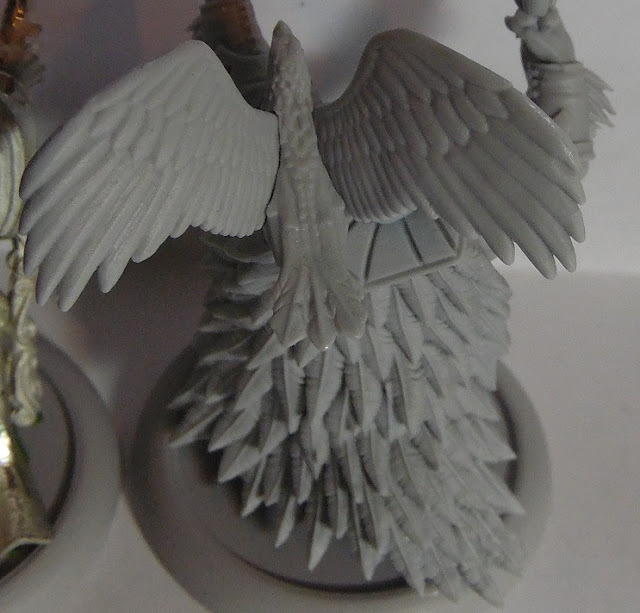 The Ravn Caller in particularly is going to be amazing to paint up. 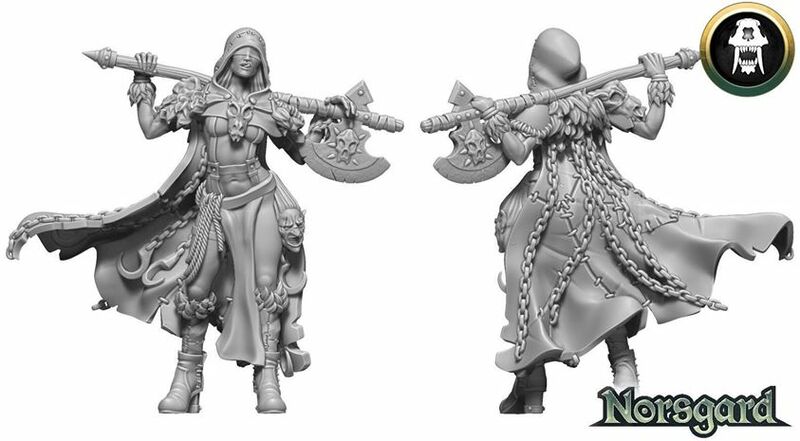 Tons of detail and textures to work on, while the raven is a separate piece you could do all sorts of fun things with. 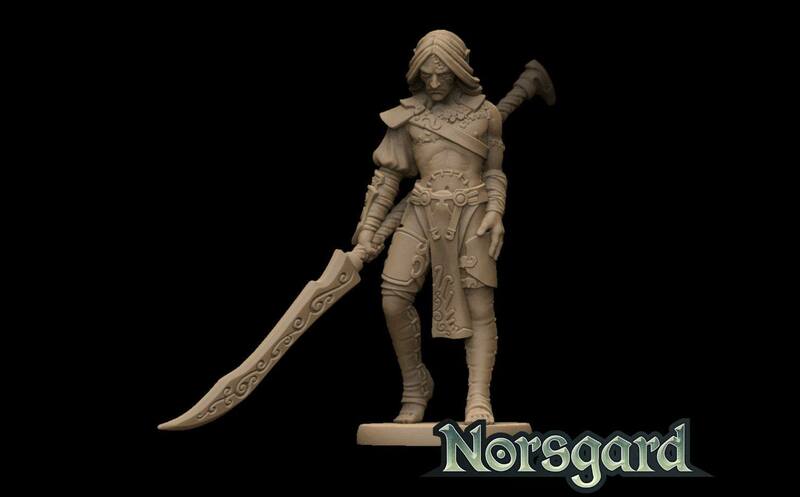 The barbarian Mork tribe are a constant threat to the lands surrounding them, though their fractured nature has kept them in check somewhat. 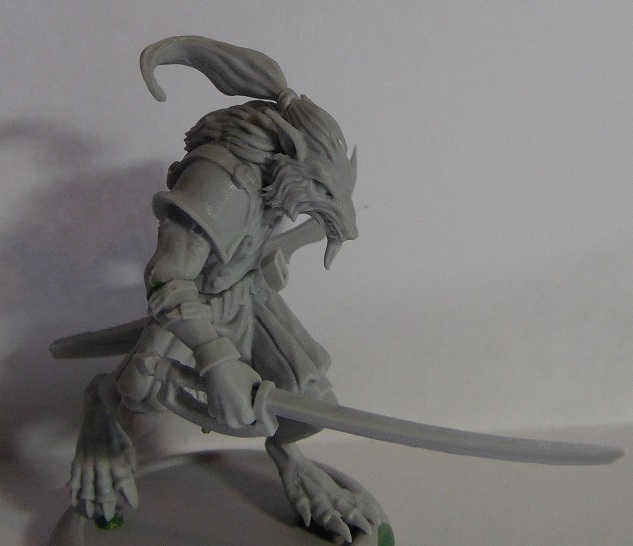 Which may very well change in the near future, as the Howling Horde seems to be slowly uniting the tribe though brutal force and sheer will. 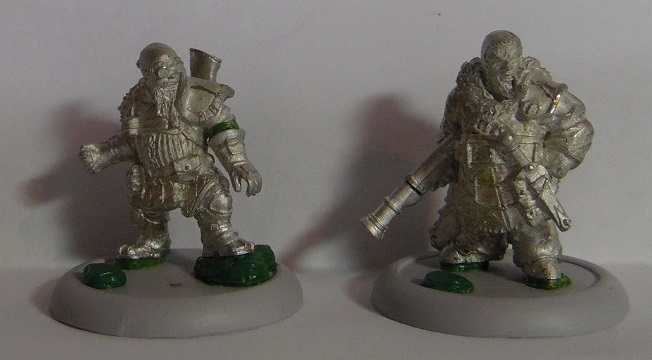 The Howling Horde are your 'basic', and by the look of things evil, human faction in the game, though I'd say they are a quite diverse and menacing lot. 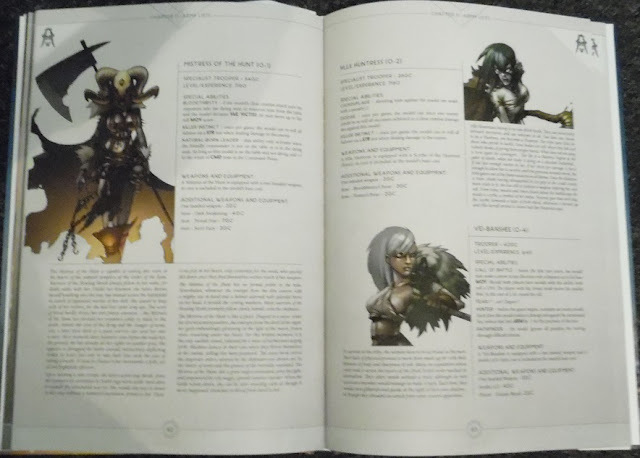 In between scouts, warriors, daemon-possessed maniacs and the mysterious Mistress of the Hunt the horde is an equal opportunity employer. 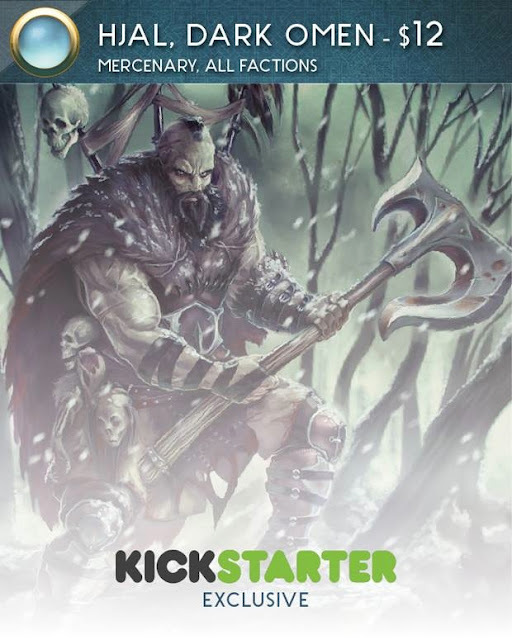 In fact, those that are strong and cunning lead the warbands. 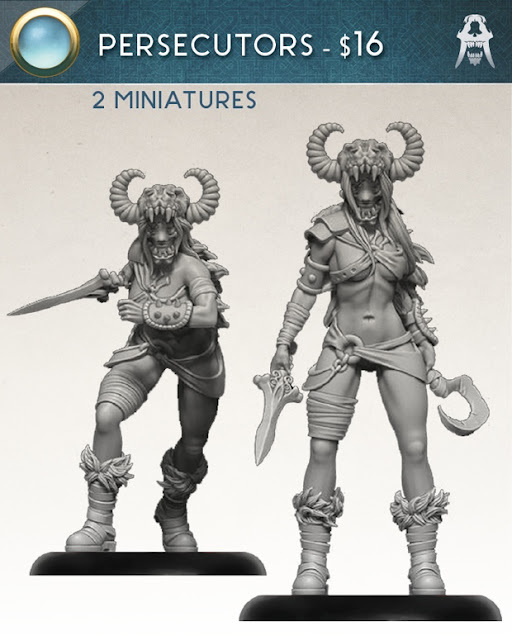 Pure brawn, though certainly appreciated, is not what the Horde is about. Using all the strengths and weaknesses of the entire Tribe to their best advantage is what counts here. 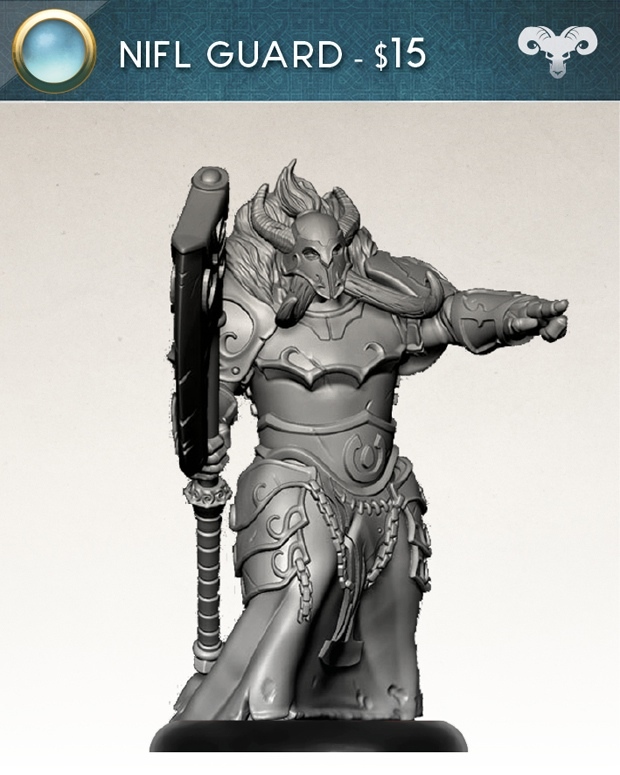 This also comes across in the rules of the model with the physically less strong model still being extremely deadly in a support, flanking role or as poison and magical weapon bearer. 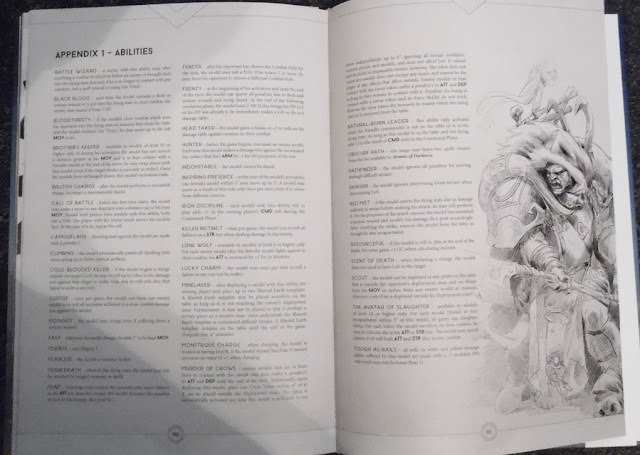 The Warchief on the other hand has access to Auras, representing the daemonic influences released long ago by the Elves they allow to partially possess them, that give AoE powers. The lovely Mistress of the Hunt and a Warchief who's clearly not a fan of the Scarlet Watch. 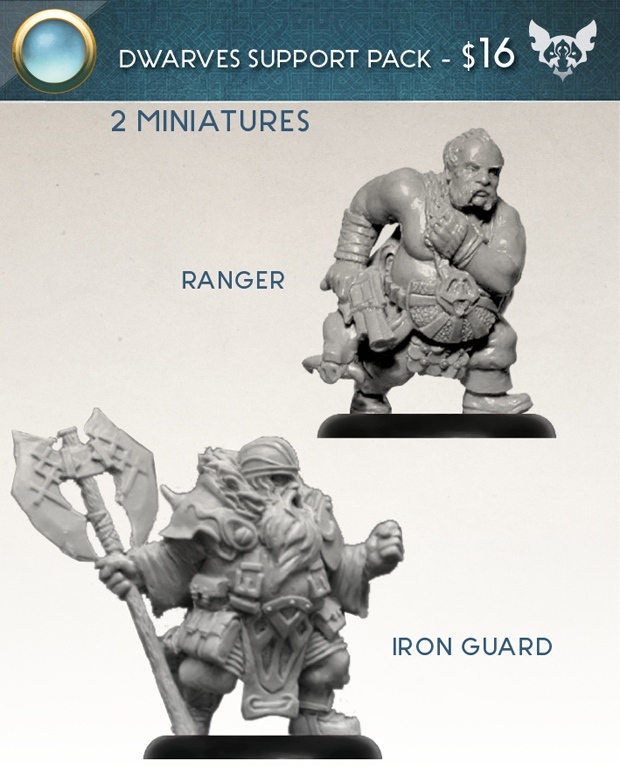 The Alliance between the old and dwindling numbers of Dwarves and the young and brash Werewolves may be my favorite faction in the game thus far. The models are great and the very strong visual contrast between the Dwarf and Wulfkin models is quite striking. 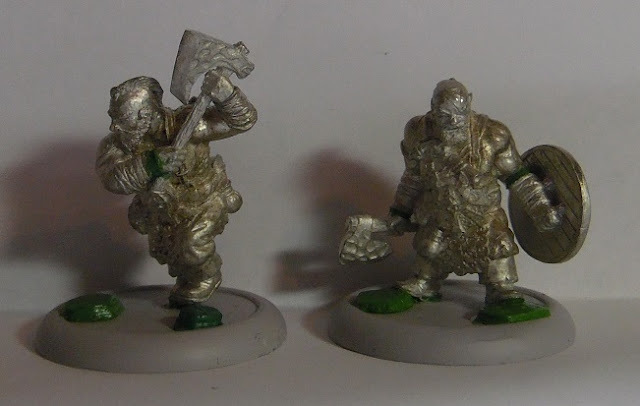 But it's more the idea behind the union, with the Dwarves trying to salvage their old culture and the Wulfkin trying to do the same for their relatively new one. 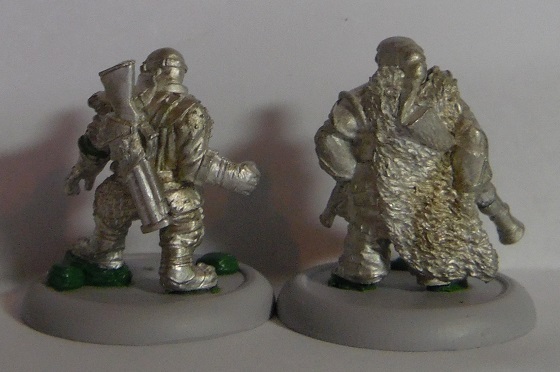 The Dwarves are more or less taking on a mentor or even parenting role, with the Wulfkin assimilating much of their culture to combat their more savage, instinct driven natures. Which, of course, isn't something their entire race seem interested as, as clearly shown by the Wulfkin warriors who have joined forces with the wicked elves of Outregard (one of the new factions on Kickstarter right now). 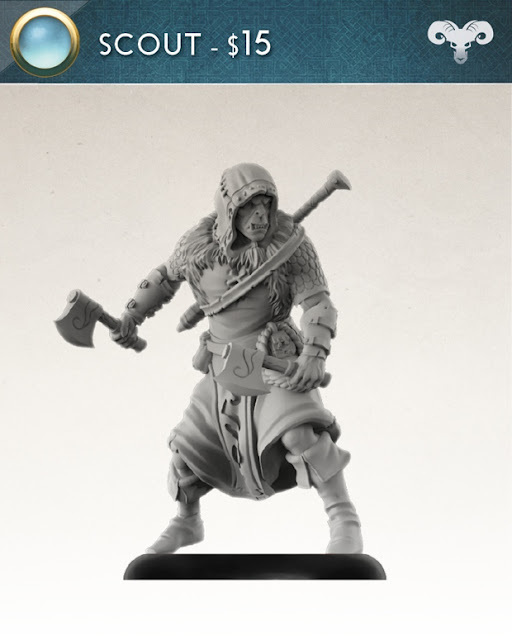 One of the big things about the Kickstarter was definitely extra Wulfkin bits getting unlocked. 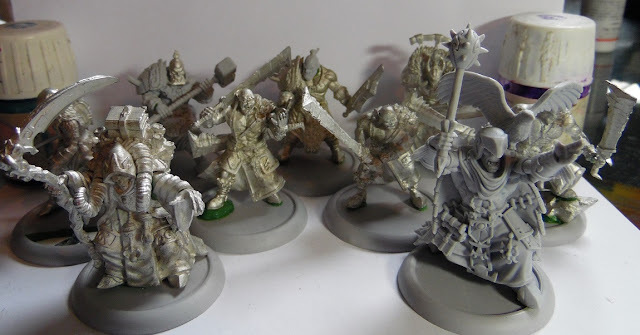 Having those extra two heads, weapon sets and an extra body available is fantastic for variation purposes, which is great cause we may very well see rules for a full Wulfkin warband further down the road! Really looking forward to painting the Silver Fury, there's just something about the look and stance of the model that reminds me of several of the old Confrontation models. Naturally there are also more releases planned for this faction, with the new Ranger definitely being a fan favorite so far! 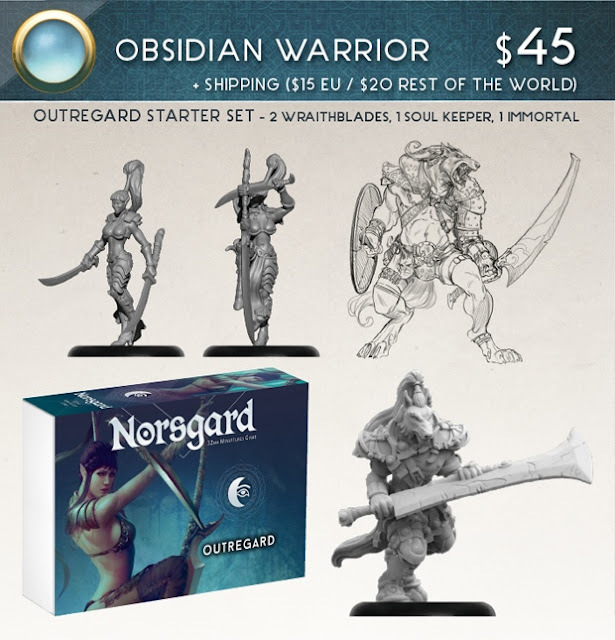 Norsgard is currently back on Kickstarter to expand the game with two new factions, as well as extra models for the existing ones. 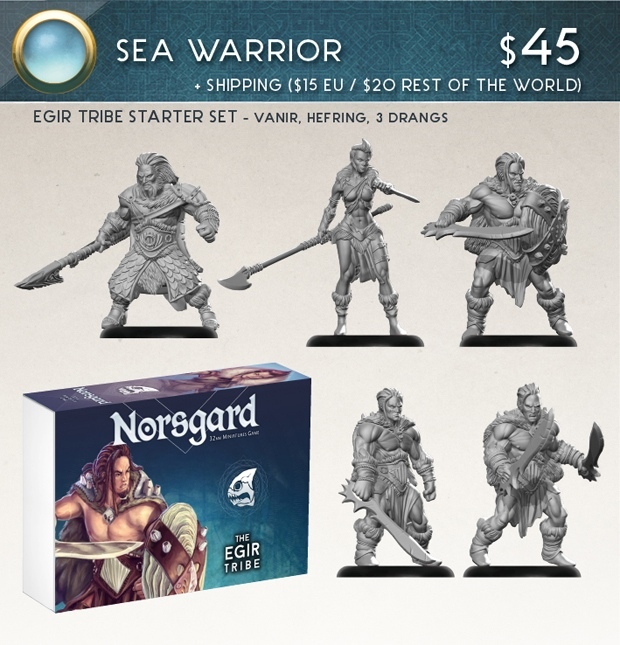 The new Egir, who seem to be 'good' barbarians have quite a cool fisher / seafarer look to them, while another faction using even more Werewolves in the form of the Outregard gets a thumbs up from me. 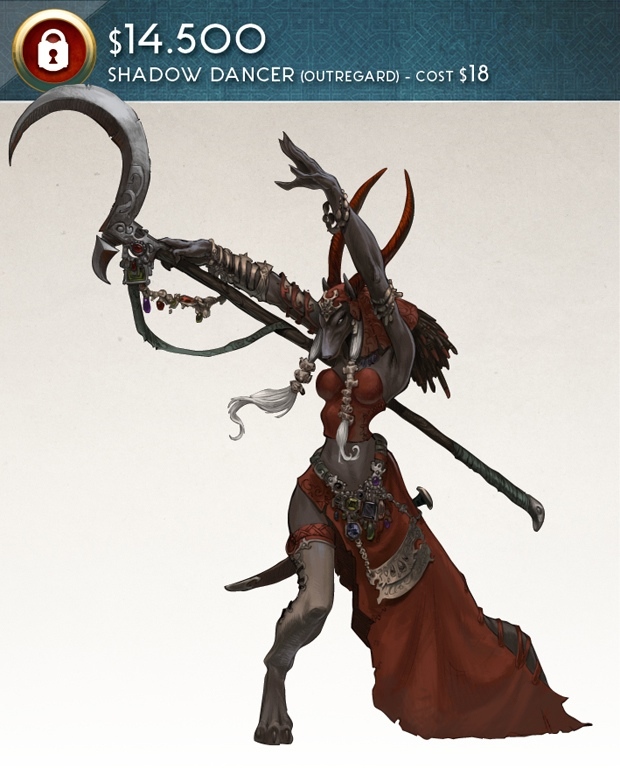 That Shadow Dancer model, for one, is definitely on my want list! So for those interested, you can pick up the current line from the Norsgard webstore HERE and keep an eye on the new Kickstarter goodies HERE. Another game I've been resisting :-). The book and miniatures look gorgeous. But it is in fact the Confrontation like style of some of the miniatures which keep drawing my attention. Thank you for the overview. I'll take a look at the KS. 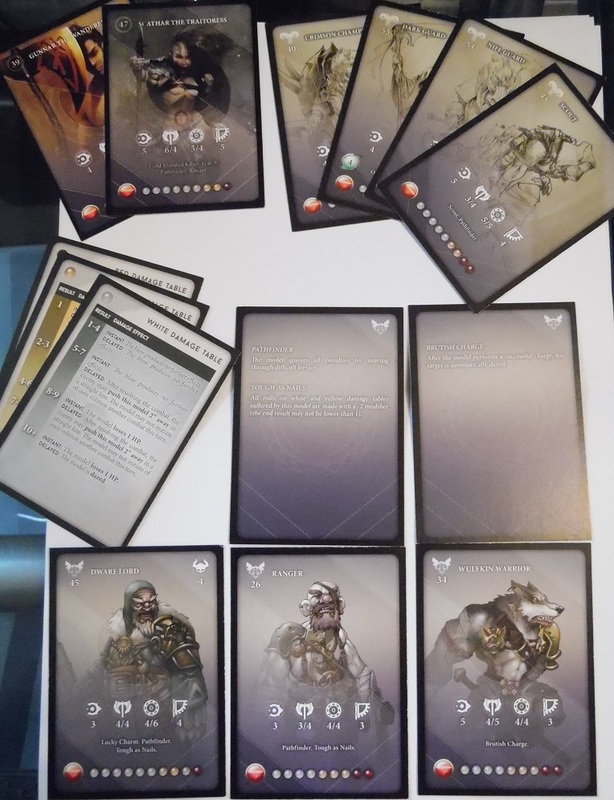 Really nice, crisp stuff with tons of potential in other games as well. 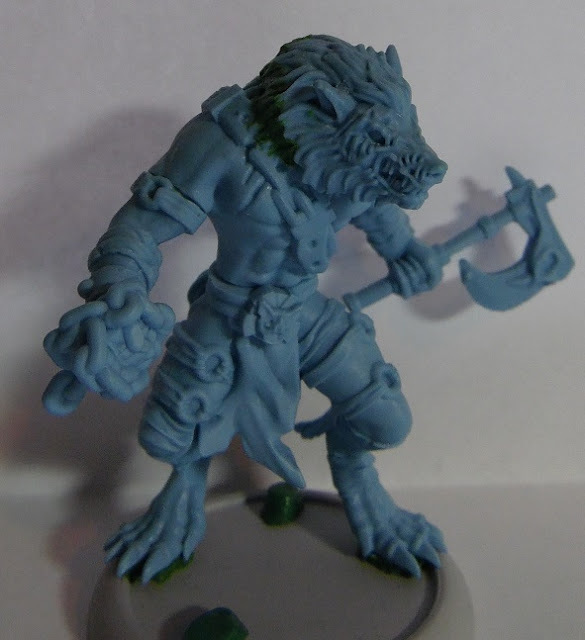 Already saw several people using the Wulfkin for Kings of War and the Howling Horde for Frostgrave (another very cool, new game). 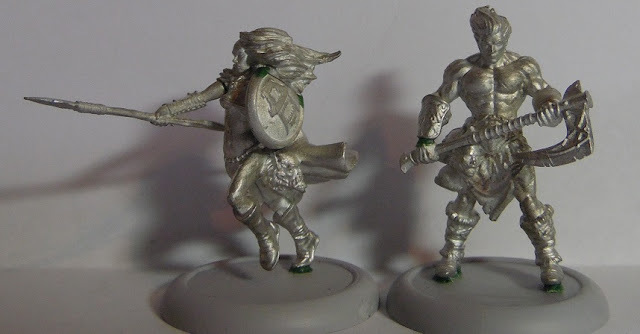 Nice looking range of miniatures. Indeed! 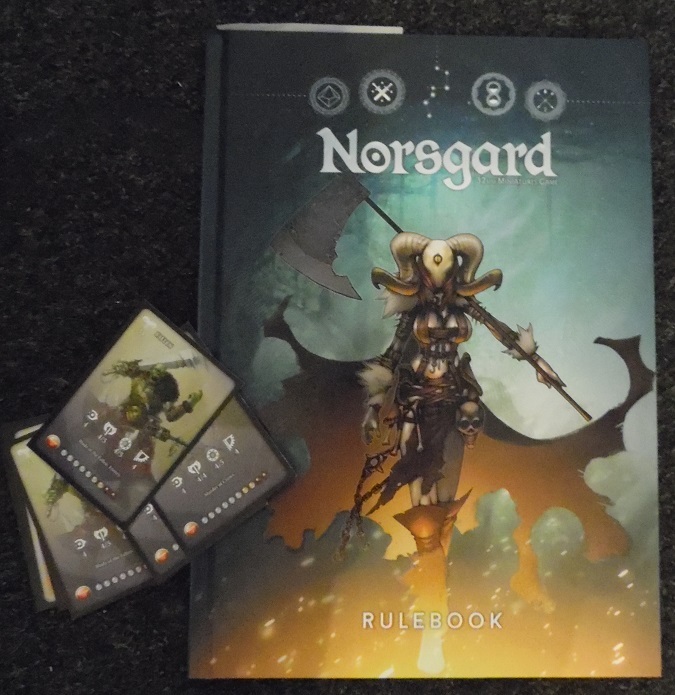 Though there was certainly some good talent and potential on board with the Norsgard team, it's still impressive to see this level of quality for a new gaming line by a new company.